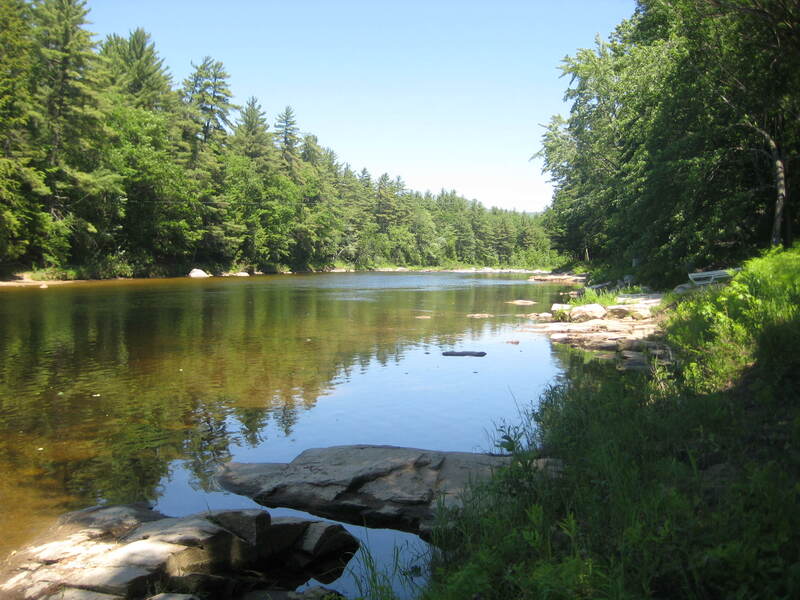 If you are looking to get out and explore while camping at Saco River Camping Area, we are conveniently located to be able to make the most of your camping vacation. We are very close to many activities, Tax Free Outlet shopping, and area restaurants. If you are traveling with kids, you might want to spend a day at one of several area amusement parks. Cranmore Mountain Adventure Park, Kahuna Laguna, Monkey Trunks High Rope & Zipline Adventure Park, and Story Land are all just a short drive from the campground. Traveling with a large group? Spend an evening engaging in some friendly competition at our local bowling alley, Saco Valley Sports Center. If spending a day on the links is more your style, we have two beautiful courses within minutes of Saco River Camping Area. We can help you book tee times if desired. No vacation is complete without an ice cream treat. Choose from Ben & Jerry’s, Friendly’s, or Lickety Splitz, all located right in Conway. Enjoy all the natural beauty Mount Washington has to offer with a trip to one of our local nature areas. Diana’s Bath Waterfalls, Echo Lake State Park, and White Horse Ledge are some favorites. Eating by the campfire is fun, but if you are looking for someone else to cook your meal, there are over 20 local restaurants serving everything from pizza to Chinese. Perfect for a rainy day, keep dry inside at Settlers’ Green Outlet Village or the LL Bean Factory Store, both conveniently located in Conway. No matter what you are interested in doing on your visit to Saco River Camping Area, you will find that we are a short distance to many attractions. For a full list, please visit our area attractions page.